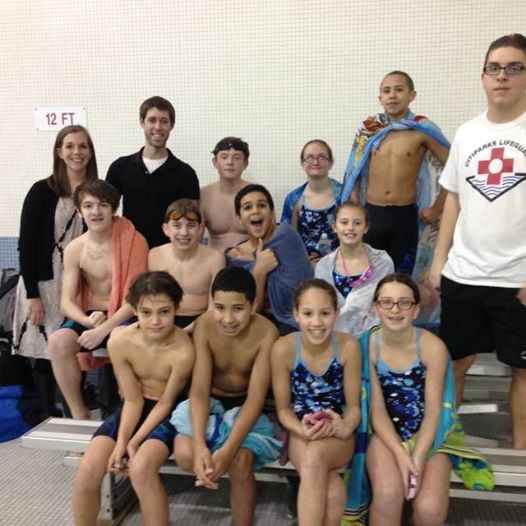 On Wednesday January 28, 2015, SciTech’s swim team attended the Swimming Championship Meet at Allderdice High School. The boys team took first place at the final meet. This is their third consecutive championship win! The girls finished their undefeated season with third place. If your child is interested in participating on SciTech’s winning swim team, please contact Mr. Tyler Hofer at thofer1@pghboe.net or Shelbie Nocera at sdevoe1@pghboe.net . SciTech’s swim team is always looking for new swimmers in order to continue the team’s success.